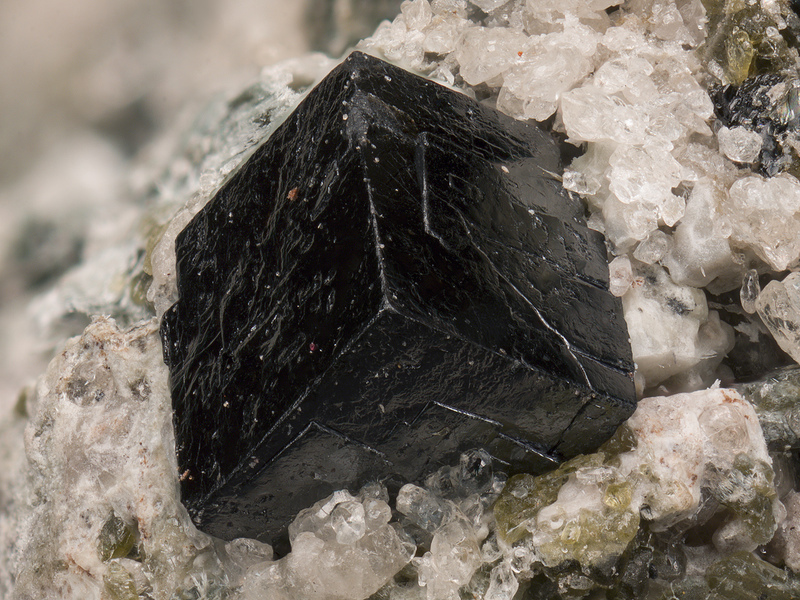 Latrappite: Mineral information, data and localities. 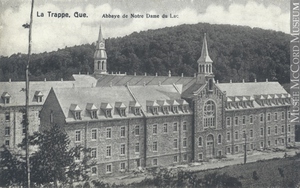 Named introduced by Nickel (1964) after the Trappist (an order of the Cistercians) monastery of La Trappe, near the type locality. 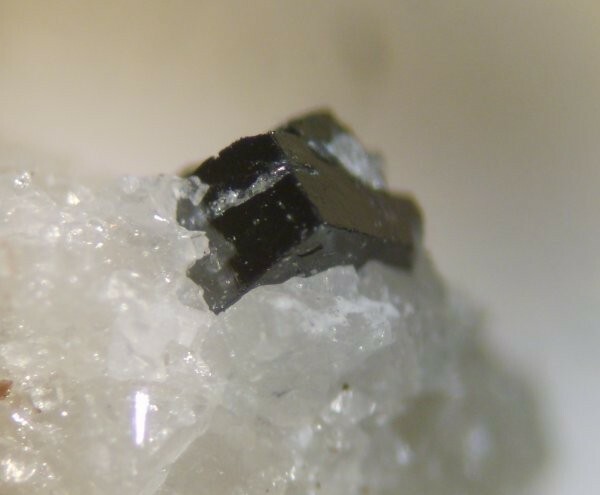 The material was first described as a Nb-rich variety of perovskite from the Oka carbonatite complex, Quebec, Canada and named as a niobian perovskite. The Nb content showed to be greater than the Ti content than in perovskite (CaTiO3), so it was defined and approved as a new mineral. The status of latrappite has been questioned. Following Mitchell et al. 2016, the significant Fe3+ content was not considered by Nickel (1964) and the material investigated by Nickel (1964) and Nickel and McAdam (1963) was found to be a complex quaternary solid solution involving the components Ca2Nb2O7, Ca2Fe3+NbO6, CaTiO3 and NaNbO3. Mitchell et al. 2016 suggested that the potential end-member latrappite be considered as analogous to synthetic 1:1 ordered Ca2Fe3+NbO6. They also recommended that only Ca-rich, Nb and Fe-rich perovskites [(Ca,Na)2(Nb,Fe3+,Ti)2O6] whose compositions are such that: (1) divalent cations prevail in the A-site with Ca dominant; and (2) pentavalent cations prevail in the B -site(s) with Nb dominant be termed latrappite. It was thus redefined by IMA in 2016 as Ca2NbFe3+O6. Note: it is not sure if latrappite belongs to the above-given subgroup of perovskites. Fluorapatite 3 photos of Latrappite associated with Fluorapatite on mindat.org. Calcite 3 photos of Latrappite associated with Calcite on mindat.org. Magnetite 3 photos of Latrappite associated with Magnetite on mindat.org. Melilite 3 photos of Latrappite associated with Melilite on mindat.org. Ceriopyrochlore (of Hogarth 1977) 1 photo of Latrappite associated with Ceriopyrochlore (of Hogarth 1977) on mindat.org. Nickel, E.H., Mcadam, R.C. (1963) Niobian perovskite from Oka, Quebec; a new classification for minerals of the perovskite group. Canadian Mineralogist: 7: 683-697. Nickel, E.H. (1964) Latrappite - a proposed new name for the perovskite-type calcium niobate mineral from the Oka area of Quebec. Canadian Mineralogist: 8: 121-122. Fleischer, M., Mandarino, J.A., Strunz, H., Cech, F. (1965) New mineral names. American Mineralogist: 50: 261-268. Mitchell, R.H., Choi, J.-B., Hawthorne, F.C., Mccammon, C.A., Burns, P.C. (1998) Latrappite: a re-investigation. Canadian Mineralogist: 36: 107-116. Neues Jahrbuch für Mineralogie, Monatshefte (1980): 171-174. Chakhmouradian, A.R., Mitchell, R.H. (1998) A structural study of the perovskite series CaTi1-2xFexNbxO3. Journal of Solid State Chemistry: 138: 272-277	. Chakhmouradian, A.R. (1996) On the development of niobium and rare-earth minerals in monticellite-calcite carbonatite of the Oka Complex, Quebec. The Canadian Mineralogist: 34: 479-484. NICKEL, E.H. (1966) Latrappite - a proposed new name for the perovskite-type calcium niobate mineral from the Oka area of Quebec. Canadian Mineralogist, 8, 122-123. NICKEL, E.H. & MCADAM, R.C. 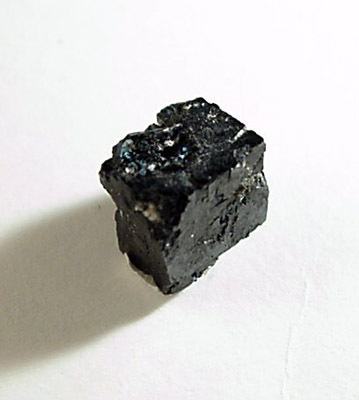 (1963): Niobian perovskite from Oka, Quebec; a new classification for minerals of the perovskite group. Canadian Mineralogist, 7, 683-697.